We know a lot of people who used to suffer from bad breath and bleeding gums. Dr. Fox has a high success rate. He is doing something right. Join patients from all over the world who have said goodbye to bad breath. If you can’t control halitosis and bleeding problems – we can! The Fox System specializes in the detection and treatment of periodontal disease, chronic halitosis, and bad taste. Our unique clinical system uses state-of-the-art equipment and techniques, the result of ground-breaking scientific research. Our system is your confidence! 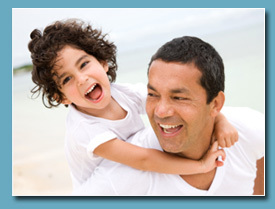 We understand the social difficulties and emotional impact halitosis problems can cause. Our dental team is friendly and compassionate. They are professionals who will put you at ease.